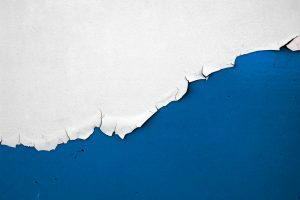 Lead paint is a toxic additive that was placed in paint years ago but banned in the market after the later 1970s. Your older Pasadena house might still contain lead if it’s never been remediated. Below are a few ways to reduce or eliminate your exposure to lead dust. One of the easiest ways for toxic lead to enter the body is through breathing in the dust that is created from aging lead paint on walls, trim, floorboards, and windowsills. Monitor the lead paint surfaces of your Pasadena house for wear and keep all floors and windowsills free of dust and paint chips. You cannot see the particles of lead dust that become airborne in your Pasadena home. Your family can be actively breathing in this toxic dust completely unaware. Installing a quality air purification system can help remove some of this from the air and make it a safer environment. Another way that lead poisoning can happen from the dust of lead paint in your Pasadena home is through accidental ingestion. Getting this dust on your hands is one way that lead can enter your system through inadvertently touching foods that are eaten. Frequent handwashing should be done if you know your home contains lead paint. It’s critical that you monitor and help small children with this task. The best solution for eliminating lead exposure in your Pasadena home is to hire professional remediation services like Tri Span. All lead will be safely removed and safer paint added to protect your home environment. Contact us today at Tri Span and find out more about our safe lead paint removal services for your home. We offer remediation services for homes throughout the Pasadena area.